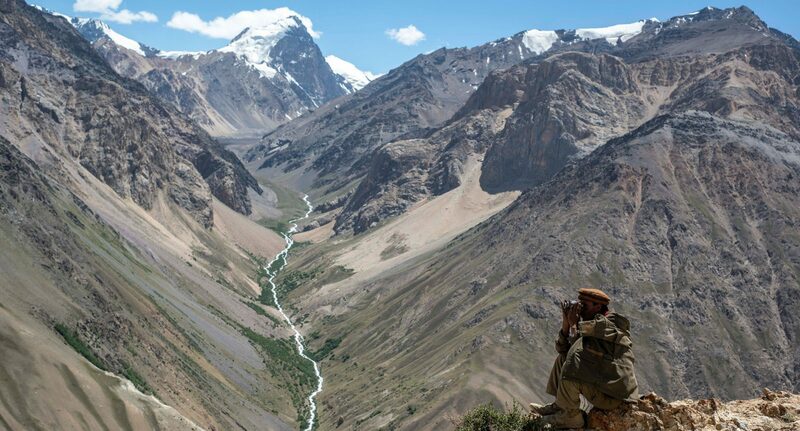 Trekking in Afghanistan may have dodged bucket-list status but the country’s snow-capped Pamir mountains and their verdant valleys have enticed curious adventurers for centuries. 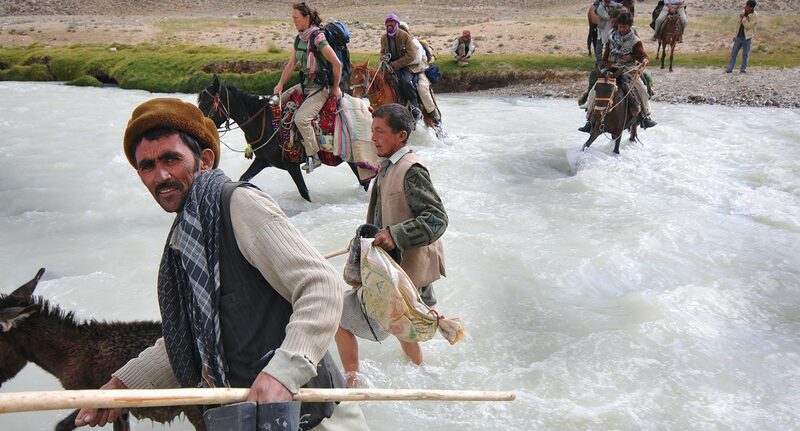 Join the privileged few ever to have explored the Wakhan Corridor on foot. 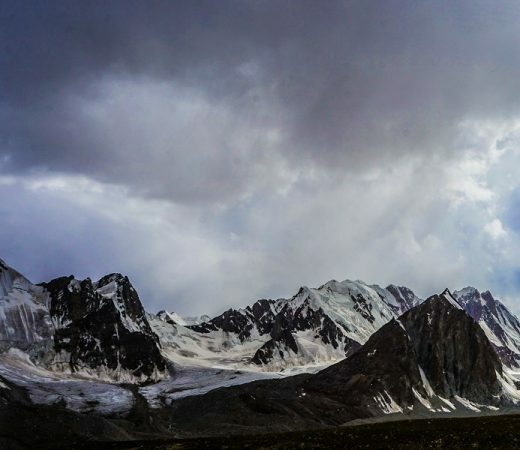 Reach its 3500m+ peaks and explore the flourishing Wakhan National Park on this epic journey over high-altitude passes and through colourful nomadic encampments. 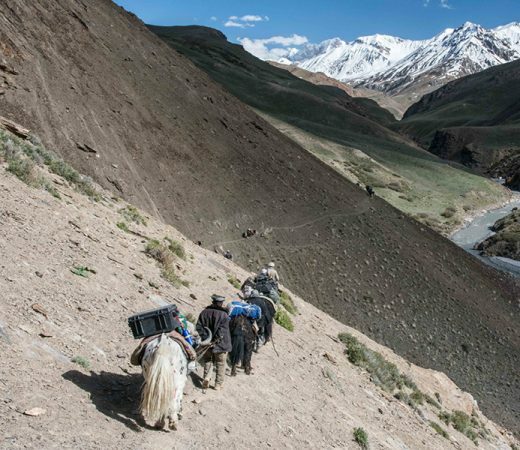 The aim of this epic Afghanistan expedition is to trek between the Big Pamir and the Little Pamir mountain ranges in the Afghanistan’s Wakhan Corridor, via the remote Showr Pass. 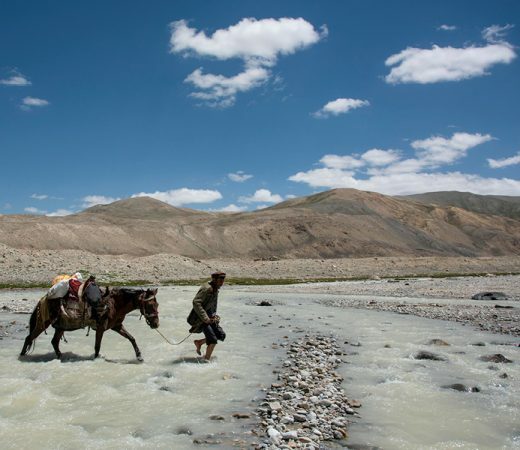 The Wakhan region is the narrow panhandle of land that stretches out from Afghanistan’s north-eastern corner, bordered by Tajikistan to the north and Pakistan to the south, with China lying beyond the corridor’s mountainous easterly border. Though trekking in Afghanistan’s newest protected area, the Wakhan National Park, this expedition is no walk in the park. Arduous days, steep and rocky passes and altitudes approaching 5000m all collide to create a challenging trek in one of the most isolated yet culturally rewarding places on earth. Explore Afghanistan’s vast Wakhan National Park. Visit semi-nomadic Kyrgyz and Wakhi communities. 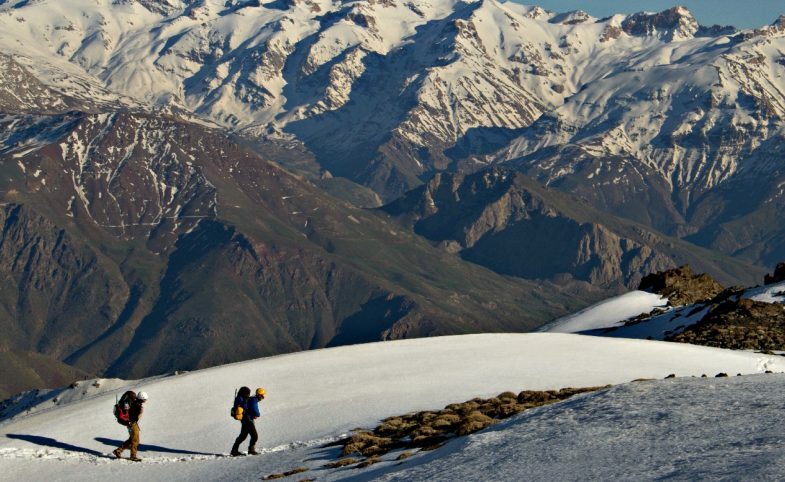 Forge a trekking route through the Little and Big Pamir. Experience a side of Afghanistan untouched by war. Trek across fertile plains and high-altitude passes (approaching 5000m). 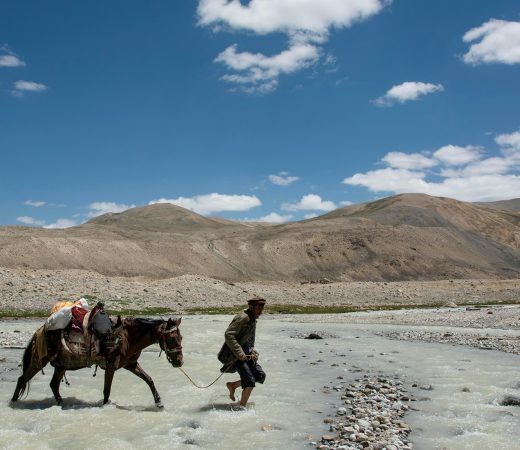 Travel by road across Tajikistan to reach the Wakhan. Relive the Great Game in the footsteps of Lord Curzon, John Wood and Francis Younghusband. Look out for games of buzkashi, the Afghan national sport. Our 2019 departure is now fully booked. Apply below to join our 2020 team. Dates and prices TBC. The Wakhan Corridor is a finger of land pointing eastwards from Afghanistan towards China, sandwiched by Tajikistan to the north and Pakistan to the south. The mighty ranges of the Hindu Kush, Karakoram and Pamir converge at the eastern end of the corridor, known as the Pamir Knot. In the Afghan Pamir, steep valleys open up to form wide, high-altitude valleys, where Wakhi and Kyrgyz nomads take advantage of lush grazing for their herds. The region is believed to have changed little since Alexander the Great’s army came close in 326 BC. The Pamirs are characterised by large U-shaped mountain valleys that provide abundant grazing grass during summer, but are covered by snow for six months of the year. In the Wakhan, two such large areas of grassland exist, the Big Pamir (Pamir Kalan or Pamir-e-Buzurg) and the Little Pamir (Pamir Khurd or Pamir-e-Kochak). These valleys are used by the semi-nomadic Wakhi for summer grazing, who return to the main valley in winter. The hardy Kyrgyz spend their time here all year round, suffering the cold and brutal winter. The Little Pamir is actually larger in area than the Big Pamir, but the higher altitude of the Big Pamir gives it its name. 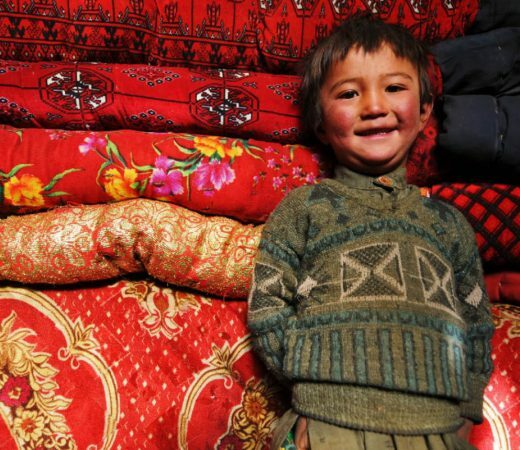 Afghanistan is a multi-ethnic society, and as part of this expedition you’ll meet people of many ethnicities. The Afghan national anthem mentions 14 of its cultural groups to give an idea of their importance. This expedition begins in Dushanbe, Tajikistan, whence the group sets off by road to reach its entry point into the Wakhan Corridor. The Tajiks are of Persian origin, and are found across the region. 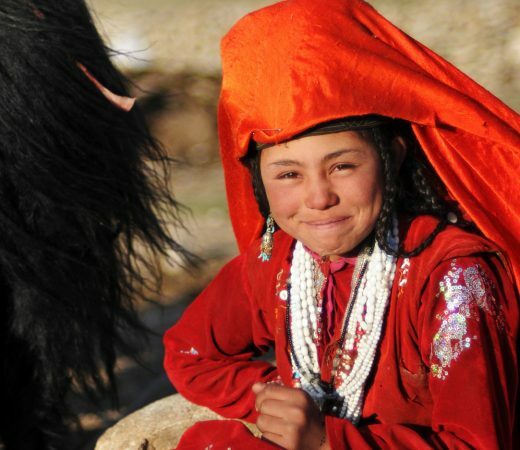 Wakhi people live around the Badakhshan region of north-eastern Afghanistan and are also found in Pakistan, Tajikistan and north-western China, where they, confusingly, are called Tajiks. In Afghanistan, the Wakhi folk themselves are known as the Pamiris. Kyrgyz folk are another prominent group in the region. 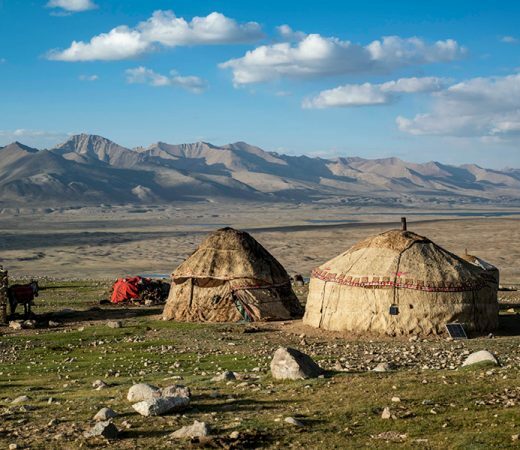 A Turkic people mainly found in neighbouring Kyrgyzstan, you’ll meet and camp near many who now call the Wakhan Corridor pastures their summer home. Secret Compass has been running expeditions to Afghanistan for over five years. Its first ever expedition was a horseback quest to seek out the source of the Oxus. Secret Compass has supported a BBC2 Kate Humble documentary in the region (Wild Shepherdess) and also organised Afghanistan’s first mountain-biking film, Forgotten Dirt, for Sony Action Cam and MTB production company, Anthill Films. It was also behind the scenes on Levison Wood’s Channel four-part series, Walking the Himalayas which began in the region. With many years’ experience in running expeditions and projects in this challenging region, Secret Compass is a great choice for anyone considering visiting this stark, remote but eminently rewarding country. Secret Compass runs expeditions with framework itineraries, rather than guided tours with set daily plans. Read more about our Approach here. The following is the outline plan for this epic trekking expedition – the ‘substance’ rather than the specifics. A fuller itinerary is provided in the Afghanistan Expedition Handbook which is available on request or upon application to join the team. All teammates fly into Dushanbe, Tajikistan to arrive on or before 0900 on 15 July 2019. Your experienced Secret Compass leader will await in country and the expedition starts with an introductory briefing. The opening four days involve driving long distances in between haggling for permits, with overnight stays in guesthouses en route in both directions. It begins on the epic Pamir Highway, for a long drive across Tajikistan, often alongside the Panj river – a tributary of the Oxus. You’ll soon cross the river to enter Afghanistan proper and focus on supplies and securing local permits. Poor quality roads tend to take their toll on vehicles but by day five, you should have reached the trailhead in readiness for the trek to begin. You’ll see the distant Hindu Kush making a first camp at around 4,000m. Despite being a walk in the Wakhan National Park, this really isn’t ‘a walk in the park’ and teammates should be prepared for tough, long days over uneven ground, river crossing on the pack animals, and often very cold or snowy conditions at night. You’ll set up camps near Wakhi summer settlements and enjoy meeting the locals, and satiating the colourfully dressed local children’s curiosity. 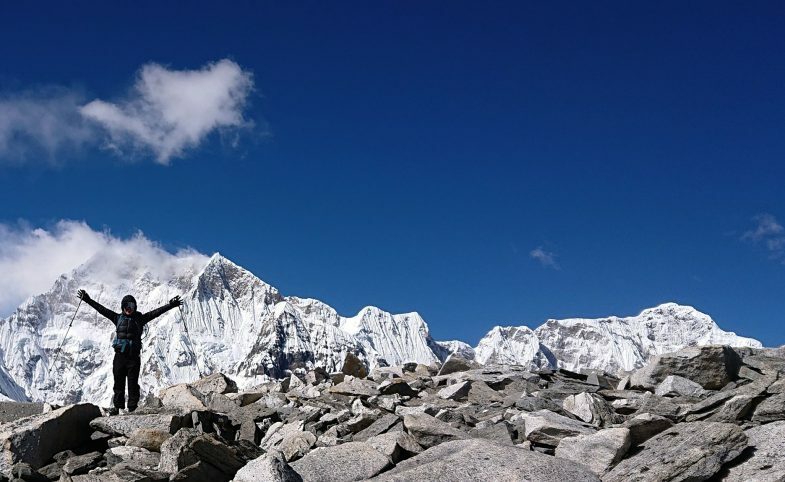 The mountain passes crossed as part of this trek are at up to 4,460m such as the Wuzed Pass, so the importance of comfortable shoes, good kit and high fitness levels cannot be emphasized enough. Glaciated peaks will dominate the horizon, with Ibex and Marco Polo sheep in the middle distance. Next it’s onto Kyrgyz territory, with lake Zorkul in the distance. The Kyrgyz are nomadic so it’ll be interesting to see where in the valley you come across them this year. Heading from the drier, Little Pamir The major challenge is then to trek over the 4,895m Showr Pass, likely to be snowy and icy. This pass separates the higher-altitude and drier Big Pami with the lower altitude (though larger) Little Pamir valley. This wide. Glaciated valley is green and lush with snowmelt-irrigated crops. Soon it will be time to say goodbye to the Kyrgyz horsemen that had accompanied the team, and to decide which route to take down to Sarhad to rejoin vehicles for the very rough vehicular journey back to Dushanbe. 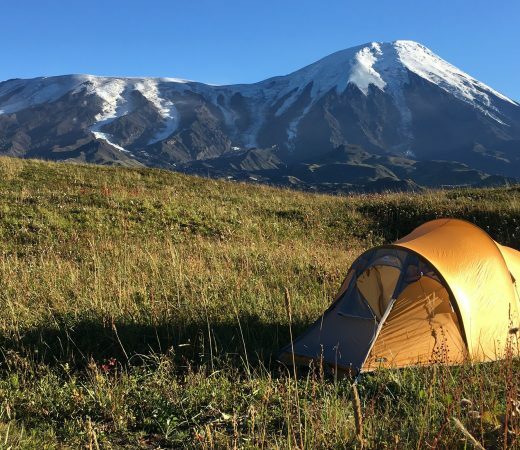 The physical goal of your expedition now in the bag – goodbye Pamirs Little and Big – the several-day vehicular adventure now recommences from Sarhad back to Dushanbe in Tajikistan. Expect one of the more memorable drives of your life with colourful villages tucked in beneath snow-capped mountains and with river crossings to negotiate. Sit tight, think of the tales you’ll get to tell and just try to keep hold of breakfast. There’s a contingency day at the end of the trek so if team speeds match expectations there will be a day to sightsee in Dushanbe, though car issues, bridge repairs and a multitude of other factors can affect driving or trekking speeds. The celebratory team meal will be held on a Dushanbe hotel on 4 August, with teammates free to book flights or onward travel for any time at all from 5 August. Secret Compass leads expeditions in complex and dynamic environments, which demand an equally dynamic approach to risk. Should events in this region dictate that this itinerary is no longer feasible, Secret Compass will implement a prepared Plan B, which will move the expedition location – this decision may be taken prior to departure or at any point during the expedition duration. This fully developed itinerary will explore the Pamir mountains on the Tajikistan side of the border, and has been our robust alternative for several year’s of operating in Afghanistan. For more information on this alternate itinerary, please contact on of the team at Secret Compass HQ, and we’ll be happy to talk you through it. Secret Compass expeditions are achievable by anyone with a healthy lifestyle and a good level of general fitness. Team members should be willing to be part of a team working together to achieve the goal of the expedition. As a team member, you should have an adventurous and robust spirit. 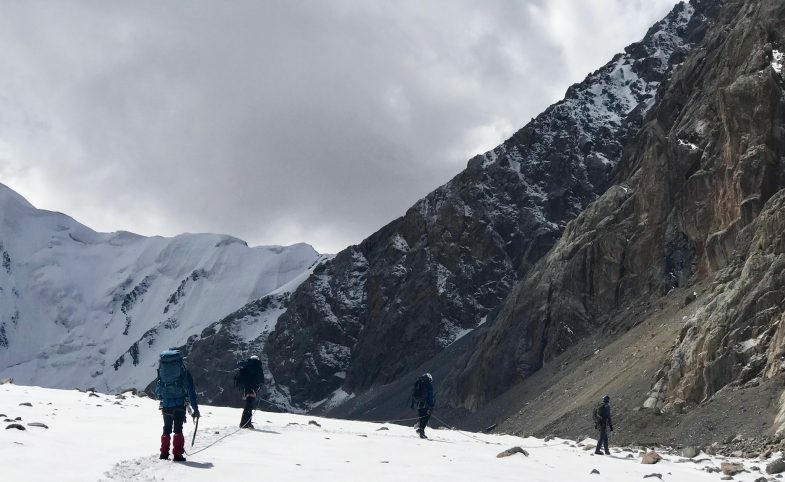 The biggest challenge on this expedition will be the many consecutive days of challenging trekking across rugged terrain, much of which at altitudes of 4000m+. Applicants will receive a Handbook with further expedition information. View Secret Compass’s suggested Expedition Training Advice and get in touch with any fitness, health, training or kit questions that remain. 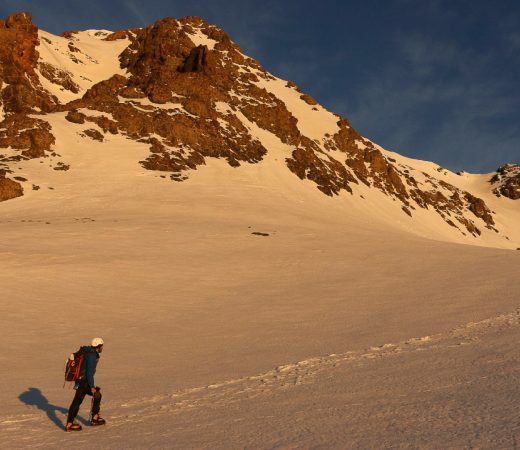 Teammates who arrive without meeting the agreed minimum fitness requirements can jeopardise themselves and the expedition’s goal so do take training seriously, prepare as appropriate and arrive fit and ready to go! Teammates must be comfortable with the following. Daily activity: up to 10 hours’ trekking per day. Carry: up to 12kg in a day sack. Terrain: remote, uneven, snowy, icy, rocky, sometimes exposed terrain at up to 5000m. Climate: Can be sunny in valleys and cold and windy at altitude. Averages are 3000m, 5 to 25C; 4000m, 15 to -2C; and 4500m, 10 to -7C. Professional Secret Compass expedition leader with full communications kit and medical kit. Use of horses and pack animals throughout. International flights/ travel to and from Dushanbe. On application, potential teammates will receive a detailed Expedition Handbook. Here are some expedition-specific questions and our general FAQ will answer many other questions. Get in touch if your question remains unanswered. This expedition is supported by horses and pack animals as you might have noted from the imagery. The horses are not there to be ridden regularly but are for support, and will be used to assist with river crossings and carrying kit. On occasion, teammates might be able to ride on a horse for short periods (to allow blisters to heal for example!) for which helmets will be provided. Teammates should arrive prepared to trek on foot for the duration of this expedition. Teammates with dietary requirements are welcome to apply for this expedition and should state their specific requirements when applying. The food situation is outlined in the Practicalities tab. There are no frills in the mountains and local food supplies may be limited and basic, so a realistic approach to food is required on this expedition. This will be very challenging with limited access to power once out of Dushanbe and certainly once the trekking section begins. Please ensure that you are self-sufficient in terms of charging your appliances by bringing things like spare batteries or lightweight solar panels. Secret Compass take a comprehensive approach to risk management, from pre-expedition planning to our highly qualified and experienced leaders on the ground – you can read more about our approach to risk here. If the situation deteriorates in the the area, and we make the decision to no longer use the planned itinerary, we have robust contingency plans in place including a well developed alternative itinerary. We have been running expeditions in this area of Afghanistan since 2011 and have not needed to switch to our alternative itinerary so far, however we reserve the right to make changes without prior notice at any time, both before and during the tour. Teammates should not expect any signal or wifi once out of Dushanbe. Most nationalities require a visa to enter Tajikistan (double entry visa required) and Afghanistan (single entry visa required). For Tajikistan you also need a GBAO permit (Gorno-Badakhshan Autonomous Oblast) to enter southern Tajikistan. Comprehensive information will be sent to teammates upon booking. Visas are teammates’ responsibility. Do we fly into Kabul? No, you fly into Dushanbe in Tajikistan and don’t go near Kabul on this expedition. Do I need to cover? Men should wear long trousers and long sleeves in Ishkhashim. Women should cover legs and arms and wear a headscarf. In Tajikistan women can wear T-shirts and no headscarf. When trekking in the mountains it will be possible to remove the headscarf, but when in villages or meeting new people on the way they will be necessary. Apply for this expedition team using the button below to receive your Expedition Handbook with fuller details. The Application page explains the joining process. View FAQ or explore the Get Ready section for advice on kit, fitness, visas, flights and travel insurance. Secret Compass is then on hand to help with your unanswered questions or to firm up your place on the team.